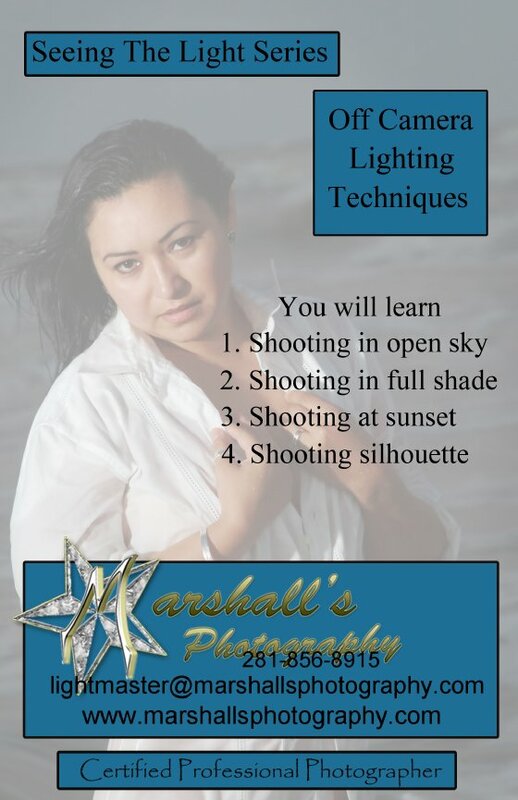 In this “Seeing The Light” E-Book, we will discuss the DSLR cameras and five different techniques of off camera lighting. Why should you use off camera lighting? Off camera flash is the best way to achieve direction of light and to shape the face. This type of lighting will give you a better quality of light. Direction of light cannot be obtained by way of on camera flash. On Camera flash is flat and results in one dimensional lighting. Using an off camera flash in the proper way will add catch lights in the eyes. A catch light will also add life to the subject eyes.